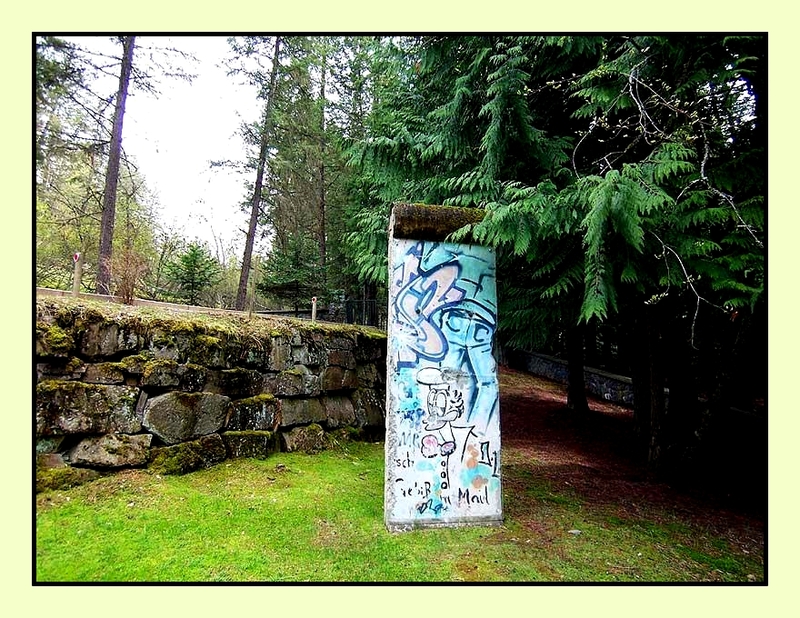 Segment of the Berlin Wall. A symbol of the Cold War and oppression. I wonder why it's not still standing in Berlin. Bill and I headed off yesterday afternoon to again enjoy a pleasant afternoon. With the new layer of snow, we thought a while and then decided to give the Wyman Game Preserve a try. As we drove through the area, I suggested that we take a road on the east side which leads to Bond Lake. A vehicle had gone through breaking narrow pathways via its tracks. We walked for a while, often sliding in the slippery snow and sometimes sinking down to water beneath the snow. Twasn't the most pleasant of hikes since we had to watch every step we took. So, we ended up walking across country back to the pickup. Then, I suggested we stop off at nearby MacArthur Lake, which is always a lovely sight. 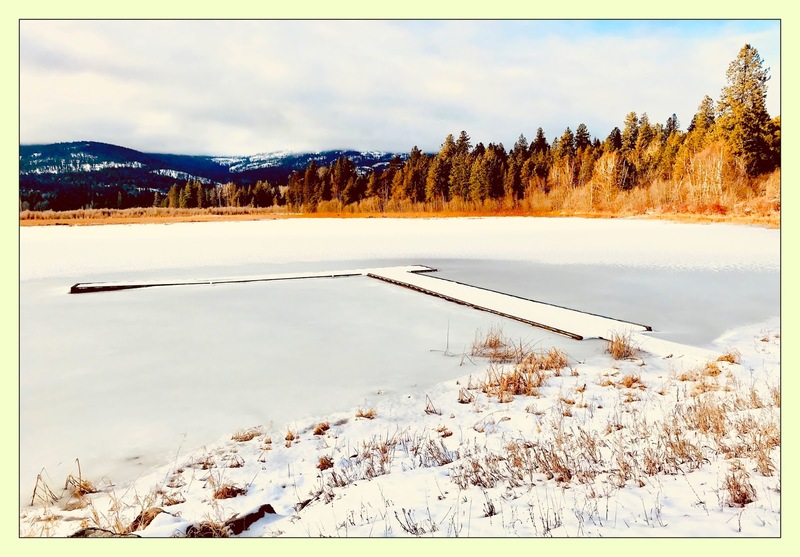 We spent a few minutes there, enjoying the sun and the winter scenery and then took a back road which parallels HWY 95. Just before reaching the highway, we came upon an apparent eagles convention. Eagles sat on limbs while others flew around, and, as we pulled onto the highway, yet another came from the north with its beak pointed to the spot we had just passed. It must have been an "eagle" day yesterday because I saw two hanging out at the cottonwood trees in the Meserve Preserve. More nice January weather today. I can see light masses of gray and pink clouds drifting south in the skies about the Cabinets, and Schweitzer is starting to light up. ZAGS games today and SHS Bulldogs will be hosting Moscow this afternoon. So, it should be fun for scenery and sports. Nice way to spend a Saturday.